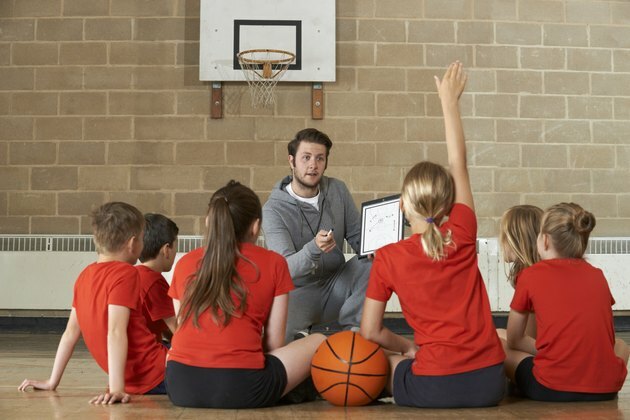 Although many factors help determine outcomes in sports, coaches have a direct influence on players, their attitudes and athletic performance. Athletes perceive and interpret their athletic experience based on the leadership they receive, as well as their ability to perform well. Coaches such as former UCLA Bruins coach John Wooden, inducted into the Basketball Hall of Fame as a coach and a player, demonstrated how coaches can influence athletes toward greatness. Most people consider a coach’s primary job to be encouraging individual athletes, as well as the team. Top-notch coaches help produce winning players and teams. How coaches create an environment of encouragement is the key to successful coaching and player performance. Gone are the days of brow-beating athletes into optimal performance, which typically leads to burnout. Athletes who experience burnout often see their coaches as individuals who routinely display negative behaviors and lack empathy. Coaches who maintain a positive attitude and environment can better motivate and encourage athletes. Coaches can have a huge impact on athletes’ personal lives and goals and how they perceive themselves and their community. Individual athletes look to coaches for leadership and encouragement beyond the sports environment, and this also carries over to athletic performance. According to Athletic Insight, the relationship between a coach and a student-athlete determines overall motivation and stress levels. Coaching behavioral practices based on Basketball Hall of Fame coach John Wooden’s "Pyramid of Success," such as hard work, compassion, cooperation, loyalty and enthusiasm, can lead to positive leadership and can influence individual athletes toward personal growth and success. Coaches can motivate players toward teamwork when they provide solid instruction and training, encourage a democratic and fair environment and offer support via positive feedback. However, it’s important for coaches to be consistent, and if they’re working with other coaches, the coaching team must work as a cohesive unit. Coaches and players also must work together to achieve success, but it’s up to coaches to be dependable leaders who genuinely connect with and encourage players. It may be difficult for athletes to separate sports from everyday life because the two are typically so intertwined. Yet, questions often arise about athlete ethics, especially when the media reports so frequently on professional athletes who display irresponsible and inappropriate behaviors in their personal lives. That leaves people wondering why so much emphasis is placed on excellence in physical performance with so little attention on enhancing personal performance, according to research conducted at Concordia University on coaches' influence on athletes and moral conduct. Because coaches have a special relationship with athletes, they can influence the total athlete by encouraging them toward excellence in all areas of their lives.